- Game Center integration! Unlock achievements and compete for fastest completion times! 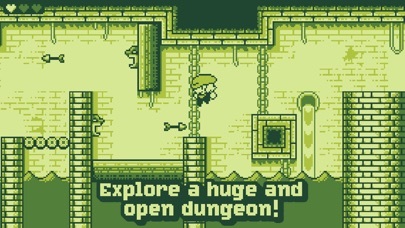 “I really have to recommend Tiny Dangerous Dungeons to anyone who enjoys platformers or Metroidvanias.” – TouchArcade, 4.5/5 starts Pocket Gamer Silver Award "A surprisingly fresh retro platformer, if you want to scratch a Gameboy itch, Tiny Dangerous Dungeons is well worth a look." 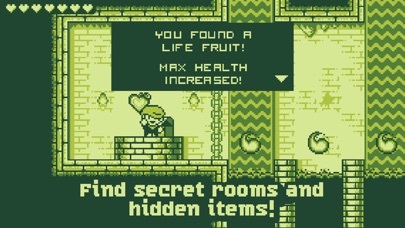 – Pocket Gamer, 8/10 Hop into a classic Game Boy inspired metroidvania adventure with the little treasure hunter Timmy! Explore a huge dungeon, collect hidden power-ups and gain new skills to aid you on your quest! 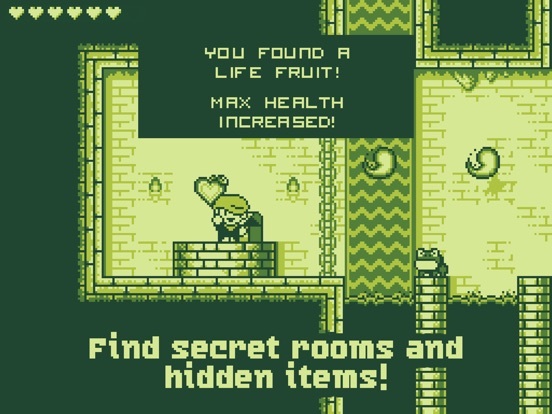 Can Timmy survive the tiny dangerous dungeons, and find the presumably huge treasure? Based on the hit browser game, this extended edition contains adjustments and new content not seen in the original game, like a wider resolution, new game mode, more hidden upgrades to find, and completely new area to explore! 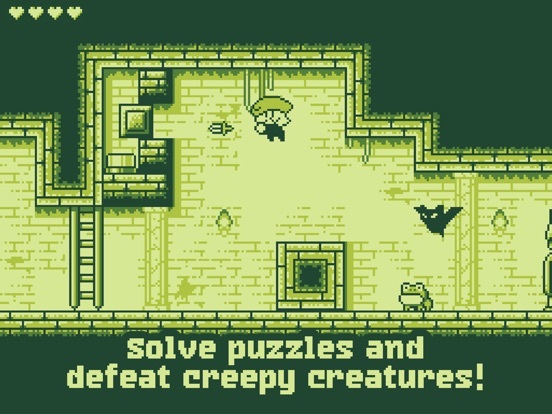 GAME FEATURES: - Game Boy inspired, stylish and retro monochrome art style! 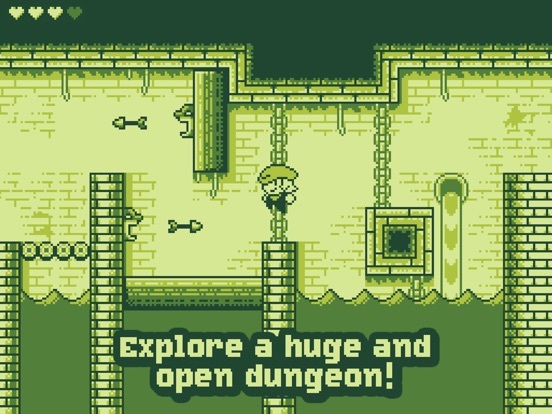 - Explore a huge, open dungeon! 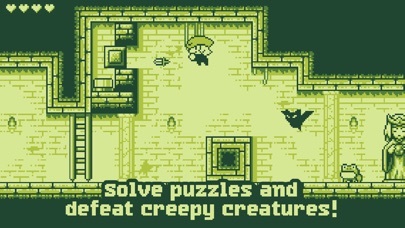 Solve puzzles, defeat creepy creatures! - Collect loot! 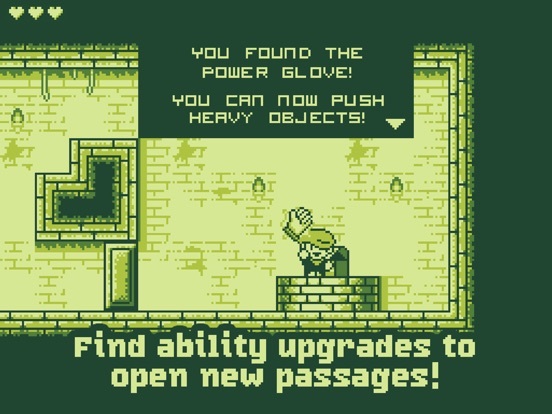 Find the hidden ability upgrades to open new passages! - Game Center integration! Unlock achievements and compete for fastest completion times! Cant wait for this. Staying up till midnight for this one ! Same here. I've been waiting for this all week. Wow... A metroidvania from the looks of things. EDIT: Oops... didnt read the description. It is indeed metroidvania, and now i just want it more. Woh, out in PH already! Downloading now! Definitely really good! The jump may feel a little floaty, but it isnt bad. 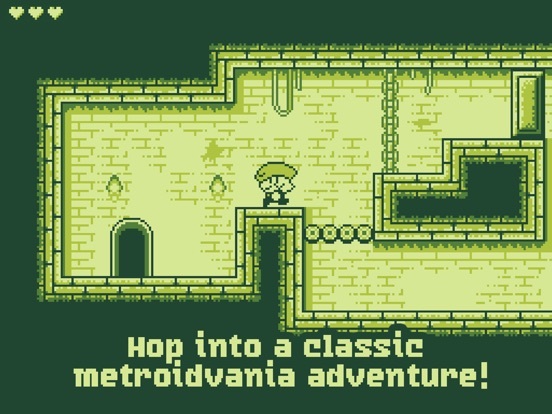 Somehow the gameboy look isnt as impactful to me as i hoped it would be, but the gameplay is where this game shines. One thing though, i got the map, and it doesnt look like a very huge map (in approximate proportion, it feels like a bout a third of Traps N Gemstones map). There is one area to go through that's goes off outside the map area though, so im guessing there may be more to this. This could also use some MFi controller support for some improvement. Looks like my kinda game. A major standout among the new games releasing tonight. Got it, gonna give it a go. Loving it so far! It is as advertised, a metroid-vania exploring delight! 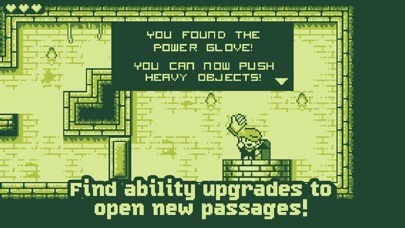 Responsive controls, clever puzzles, lots of fun. That being said, it is tough and challenging, but never feels unfair. Great difficulty ramp-up for the puzzles, been playing for only 45 minutes so far, so not sure how long to finish everything. MFi Controller Support Please...it's a platformer.... the whole foundation of platformer gaming is based around using a controller. Stencyl (the program the game was made with) doesn't currently support MFi controllers, so I can't add support for them, unfortunately. I was just sitting on the fence, trying to decide whether to buy this, then I spotted that it's from the developer of Duke Dashington. Sold! The whole foundation of ios gaming is to use a touch screen as well ! 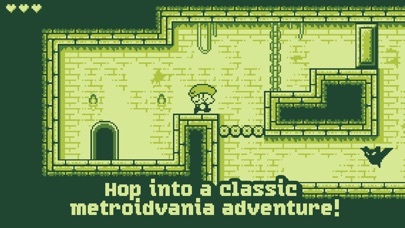 Love the game but is there anyway of moving the controls slightly the jump button (on an iphone 6) is just very far to the right, normally on a platformer the jump button is a bit closer/higher up ? The button press detection areas are actually much larger than the buttons themselves, you can jump even if your finger wasn't actually touching the button graphic itself.